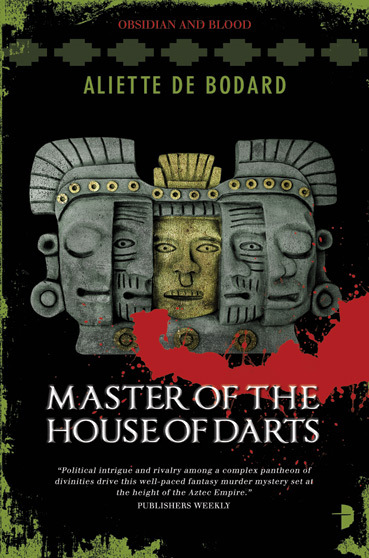 The series “Obsidian and Blood” chronicles the adventures of Acatl, High Priest for the Dead, in the Aztec capital of Tenochtitlan. 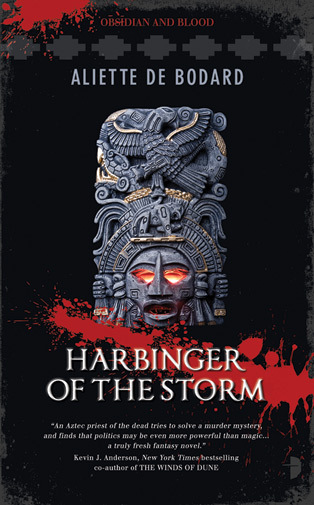 They are fantasies/mysteries: as well as being responsible for the funeral rites of the Aztec Imperial Family, Acatl also investigates crimes that break the fragile balance of the mortal world. You can download a glossary of major characters and concepts here for the Kindle, courtesy of Nathan McKnight. I’ve also made available notes on the Universe of Obsidian and Blood which includes maps of the major landmarks in the series, here. A French translation of volume 1 was out from Bibliothèque Interdite/Panini (with translation by Laurent Philibert-Caillat), and is also out of print. 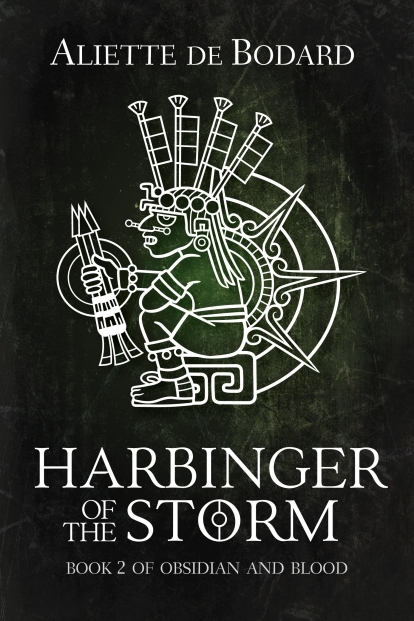 NOTE: all three books are standalones, which means you can perfectly pick up Harbinger of the Storm without having read Servant of the Underworld, and Master of the House of Darts without having read either of the previous books. 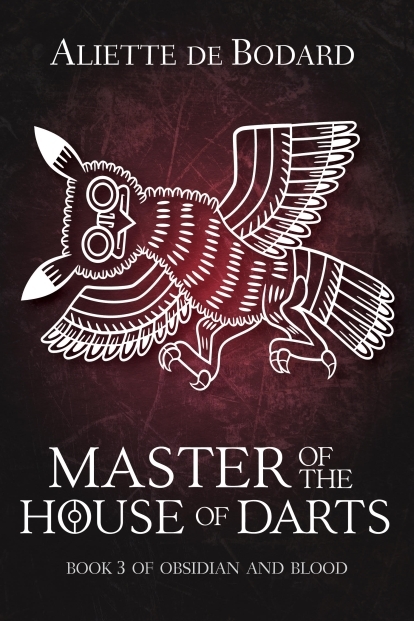 Think of it as a crime series–you can read them in order if you want to, but it’s not obligatory. 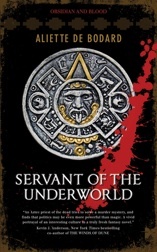 I’m pointing this out because I’ve become aware Servant can be hard to get hold of in the UK and by extension in Europe (the UK print run was recalled due to complicated circumstances, and the only available copies are re-imported US ones). See, I’m a writer–not a historian, not a researcher, not a Mexican. 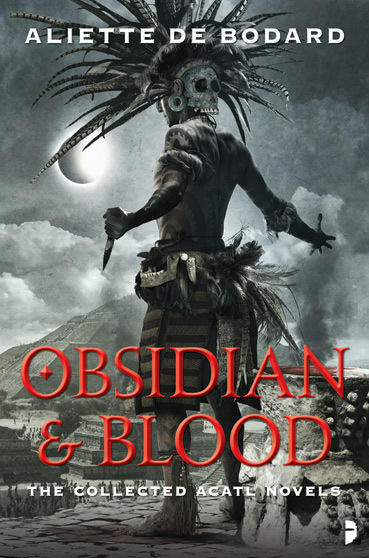 I did my best with a mountain of sources and an unfamiliar culture, but I’m no expert and no Nahuatl, so it’s highly possible (and, indeed, highly probable) that the Obsidian and Blood books include some mistakes–both research failures, and simple failures on my part to get the mindset sufficiently right. 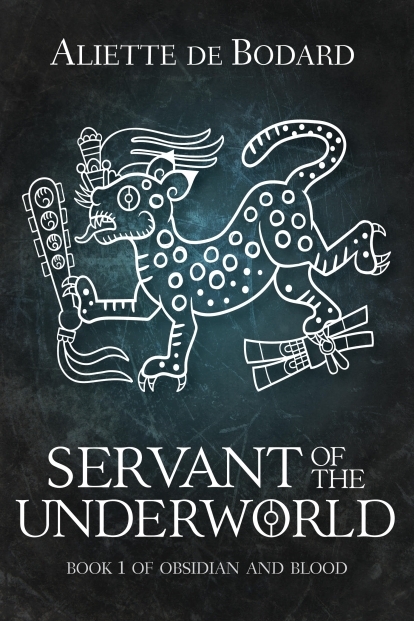 If you want references about Aztec life in the 1480s, can I suggest the work of people like Miguel Leon-Portilla or David Carrasco. Or, to put it another way: my books are awesome, reasonably well-researched fantasy, but very bad primary sources.